Helicobacter is a spiral shaped gram-negative bacteria, causing chronic inflammation and infection in stomach and duodenum leading to ulceration. H. pylori is found in 50-80% of patients with gastric ulcers and in 90% of patients with duodenal ulcers. An estimated one in six individuals infected with H. pylori are expected to eventually develop peptic ulcer disease. Infected individuals experience long asymptomatic conditions with nearly 70% of individuals having minimal symptoms such as belching, bloating, nausea, vomiting, abdominal discomfort as occasional, whereas, major symptoms includes abdominal pain, peptic ulcer, bad breath etc. Helicobacter infection can be diagnosed by invasive that requires gastric mucosa samples, which are obtained through endoscopy and used for biopsy or non-invasive tests that requires blood or stool samples. Invasive tests include immunoassay, rapid urease test, and histology whereas non-invasive includes stool antigen assays serology tests and urea breath test. Prevalence of helicobacter pylori is declining in developed countries, whereas its prevalence in emerging economies is increasing. For instance, according to the Faculty of Medicine of The Chinese University of Hong Kong (CUHK), 2017, around 4.4 billion people worldwide are infected with Helicobacter pylori (H. pylori). Furthermore, same source suggested that prevalence in Africa is up to 80%, which is the highest globally, while in Asia, over 50% of the population was infected with H. pylori. Moreover, according to the International Agency for Research on Cancer report 2014, in 2012, around 952,000 new gastric cancer cases occurred globally and around 734,000 gastric cancers were estimated to occur due to H. pylori infection. Such high prevalence of Helicobacter pylori in Africa and Asia is expected to fuel the regional helicobacter market growth. Regionally, Helicobacter pylori diagnostics market is segmented into - North America, Latin America, Europe, Asia Pacific, Middle East, and Africa by Coherent Market Insights. North America Helicobacter pylori diagnostic market holds dominant position in the global market and this is attributed to initiatives to provide test kits at low costs to eradicate H. pylori infection. For instance, antibody-based detection tests are available at lower cost for enhancing the eradication of helicobacter pylori infection in Quebec. Moreover, Agence d’évaluation des technologies et des modes d’intervention en santé (AETMIS), an independent body reporting to the Quebec Minister of Health and Social Services, recommends the 13C-urea breath test to be made available in all areas of Québec. However, Africa Helicobacter pylori diagnostic market is expected to exhibit high CAGR, owing to high prevalence of Helicobacter pylori. According to studies published in Gastroenterology Journal, 2017, the data suggested that Africa has highest prevalence of H. pylori infection, which is around 79%. 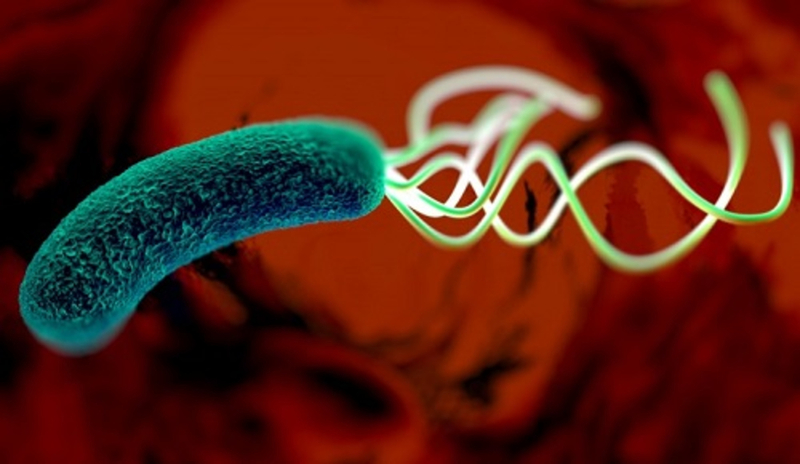 Key players involved in the global Helicobacter pylori diagnostics market include Thermo Fisher Scientific, Inc., Bio-Rad Laboratories Inc., Diasorin S.P.A., Quidel Corporation, F. Hoffmann-La Roche Ltd.(Ventana Medical Systems, Inc.), Meridian Bioscience, Inc., Exalenz Bioscience Ltd., Abbott Laboratories, Cardinal Health, Inc., and Halyard Health, Inc.